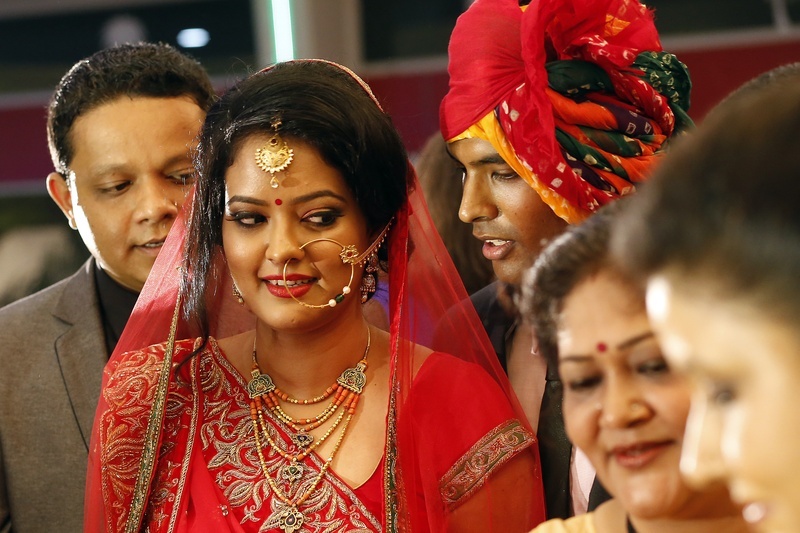 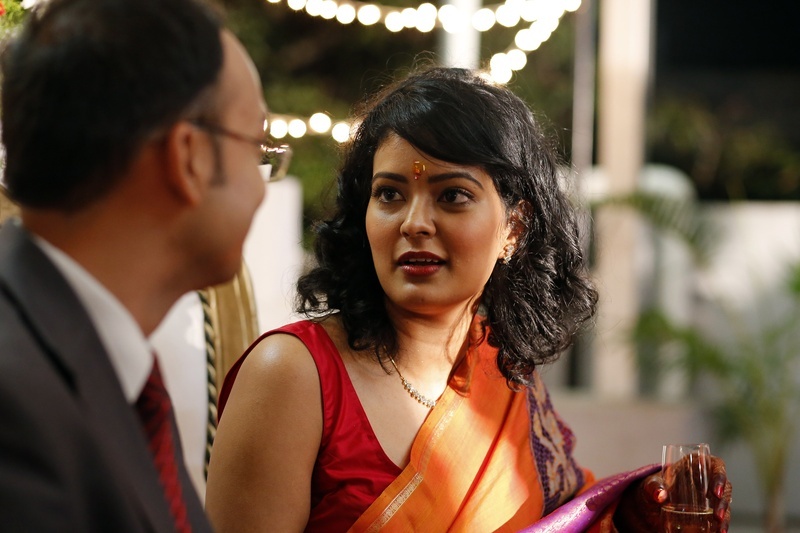 Medha and Jitesh’s union is an opportunity for everyone to witness a wedding ceremony that presents a powerful blend of traditional rituals and fun functions, all in set in a wonderful collage of colours. 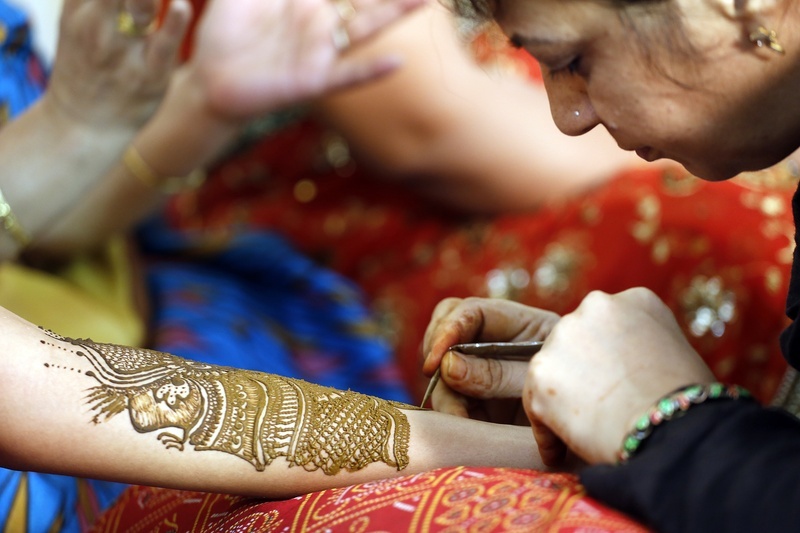 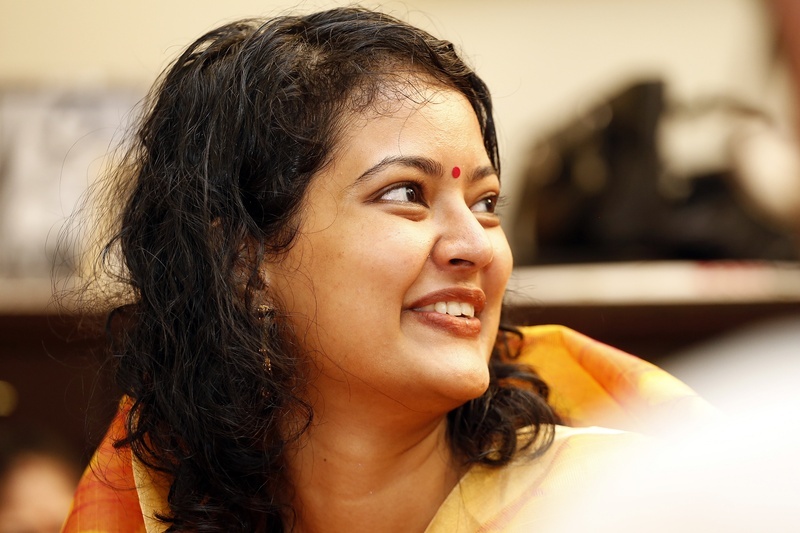 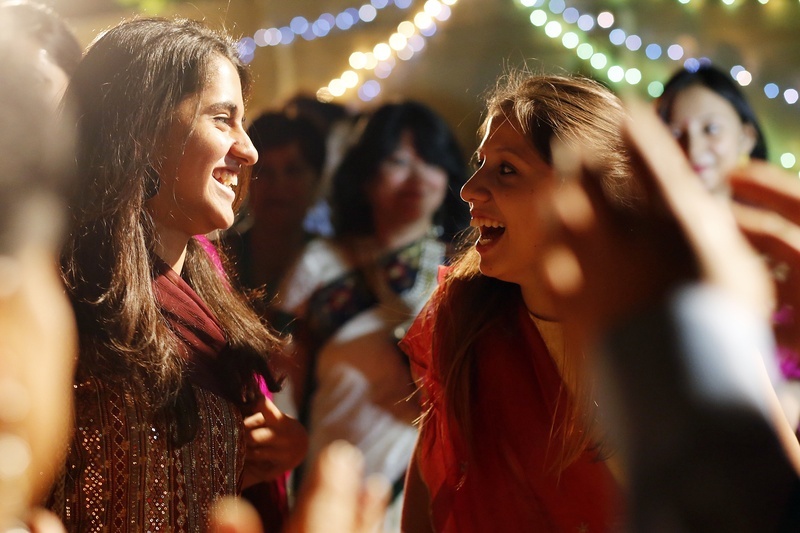 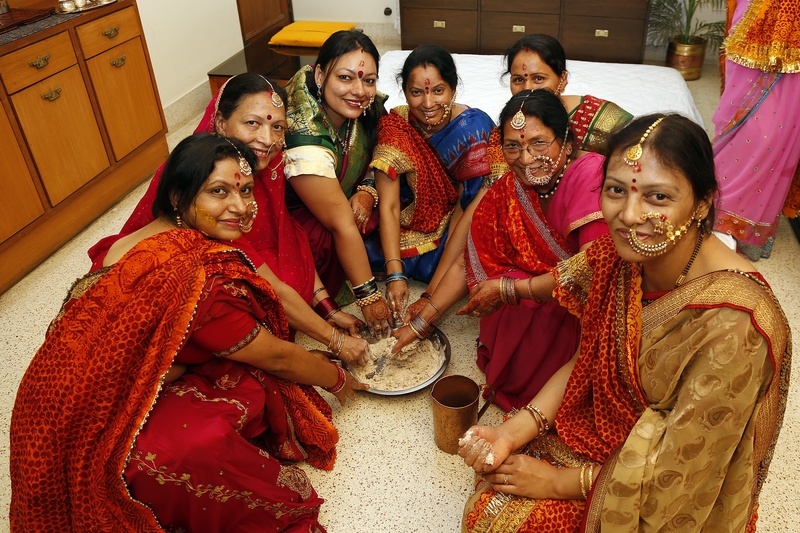 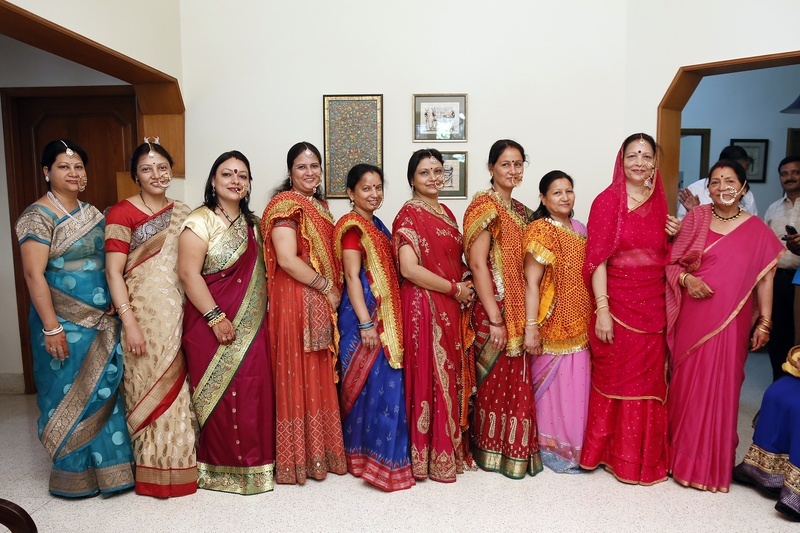 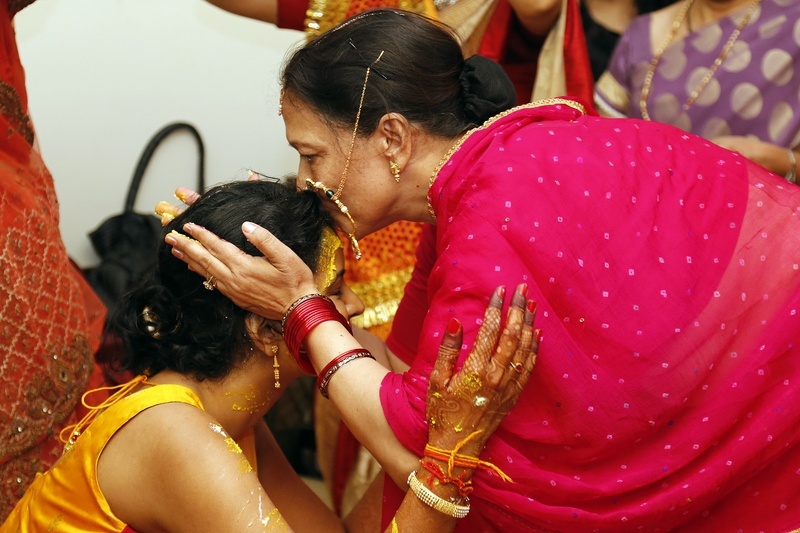 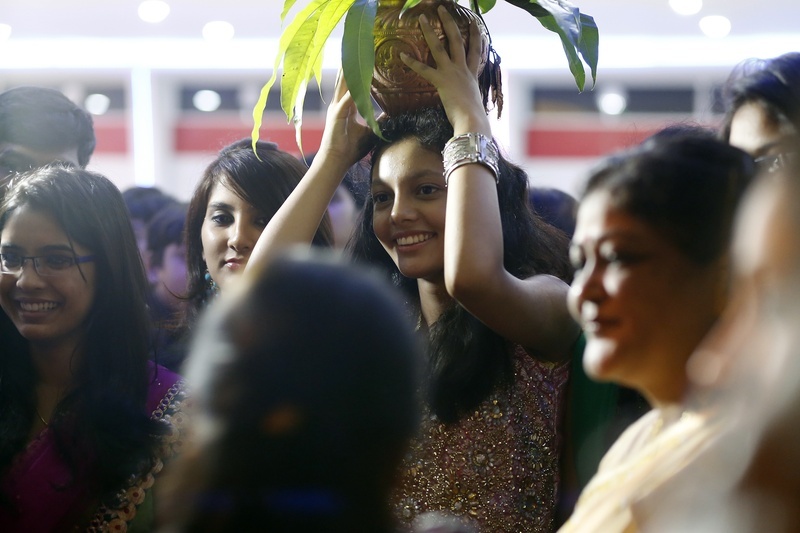 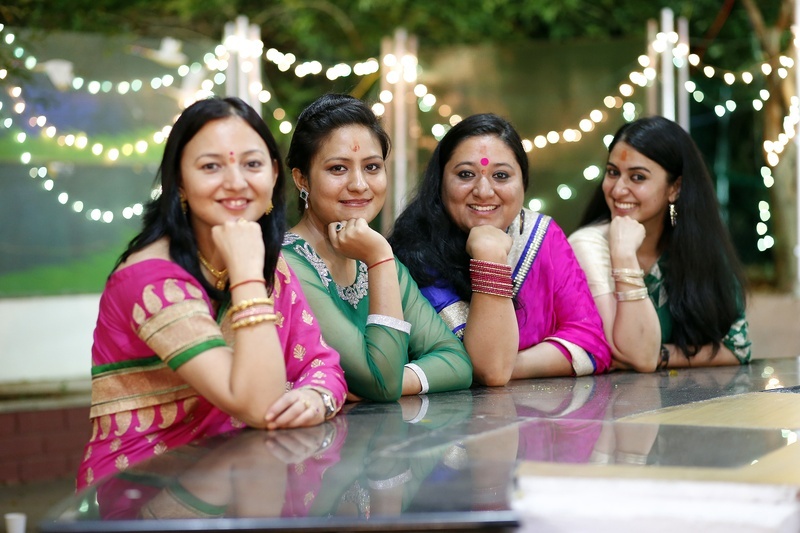 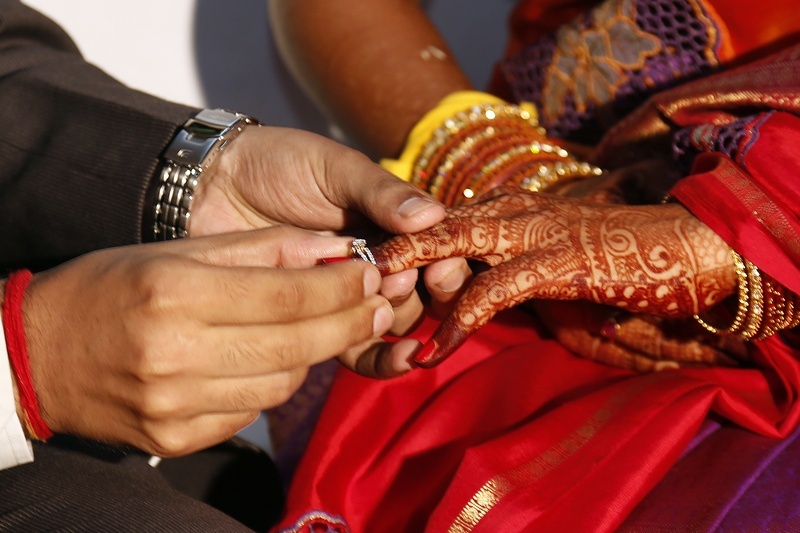 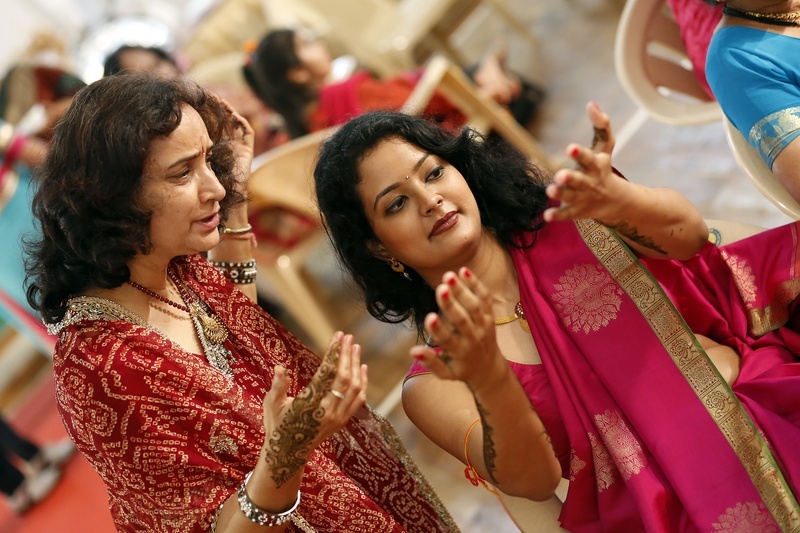 Their wedding celebrations began with the Mehendi and Haldi Ceremony, and as tradition dictates, seven female members of the family prepare the haldi that is to be applied to the bride. 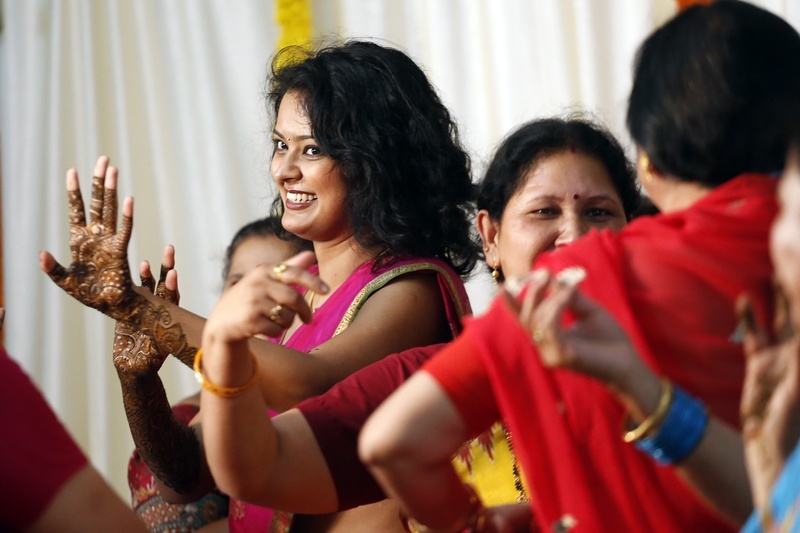 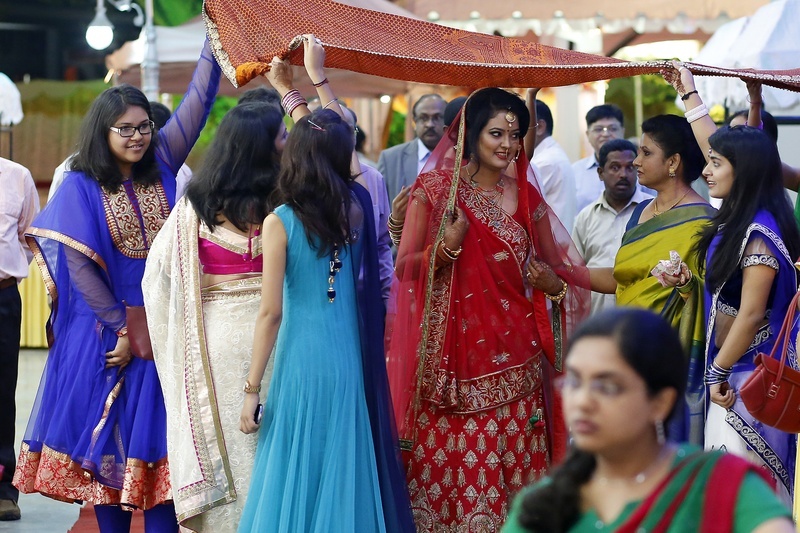 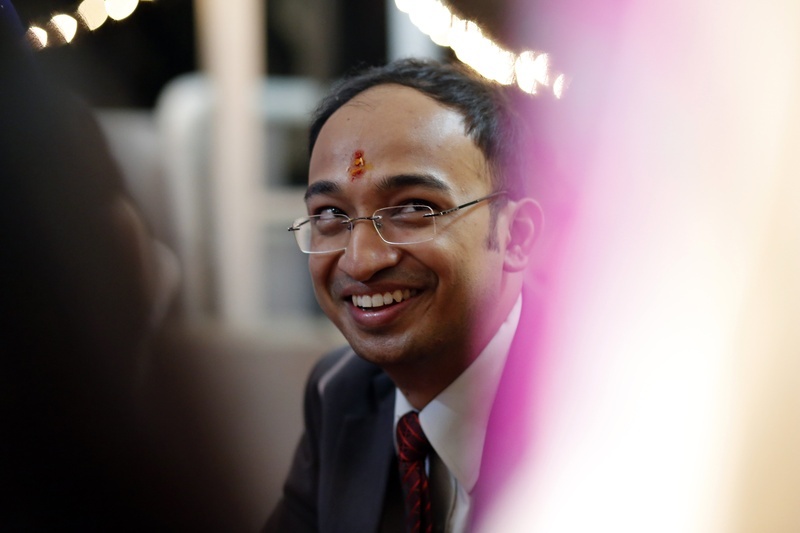 You can see everyone dressed in colourful sarees, each adorning a traditional loop nose ring, called a nath. 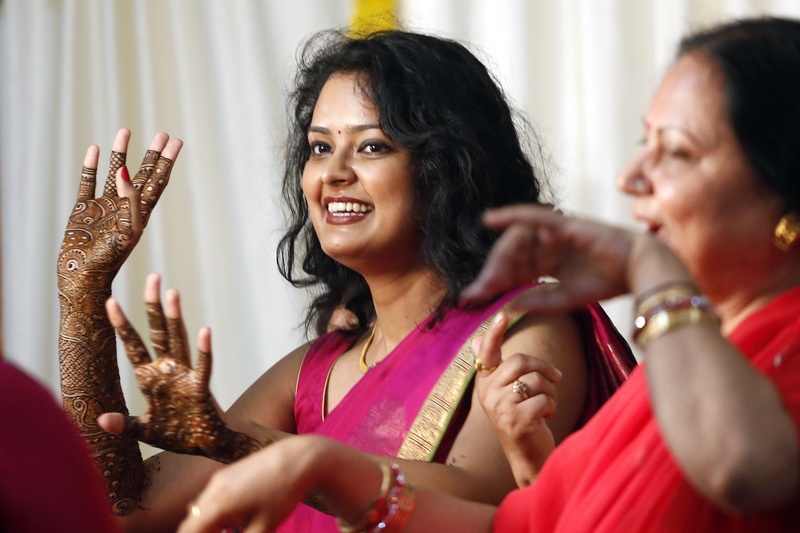 With a luminescent smile on her face and intricate bridal mehendi designs on her hands and feet, the bride enjoyed danced with joy at her pre-wedding function. 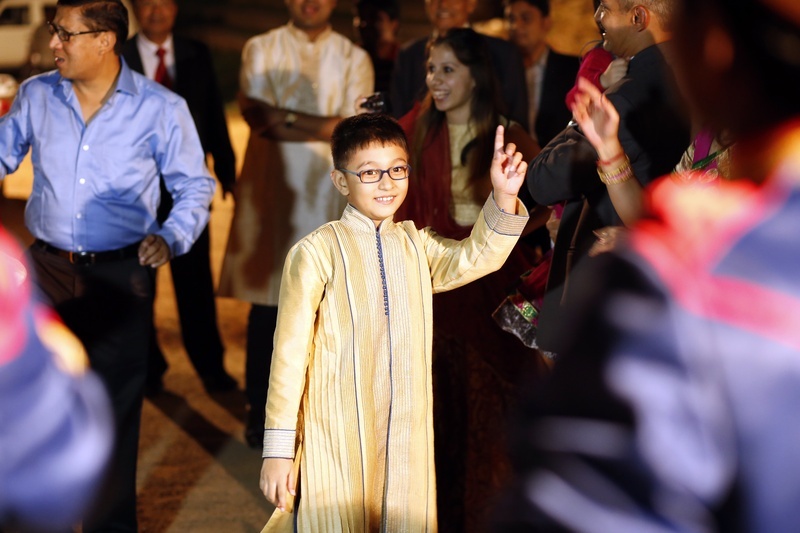 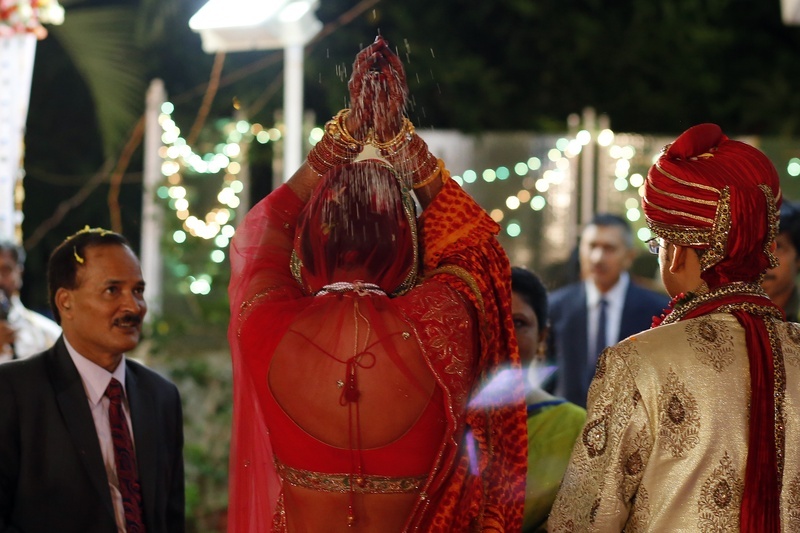 Following this, it was time for the main event - The eminent wedding ceremony! 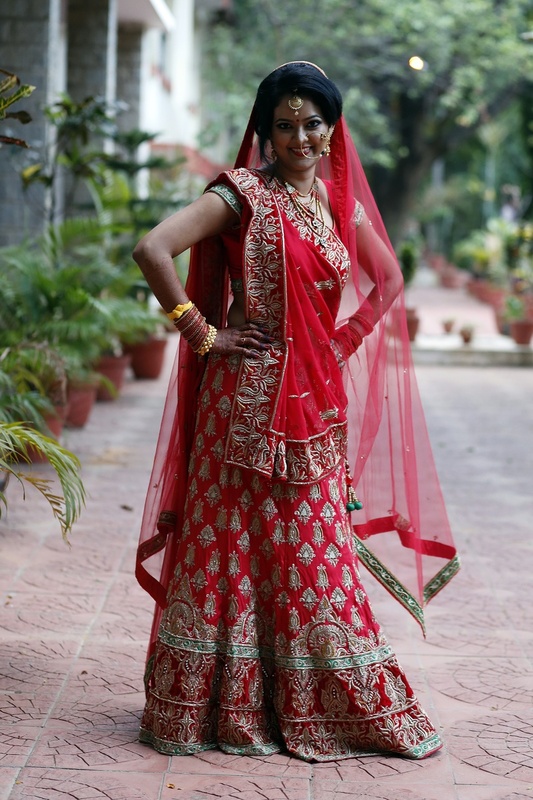 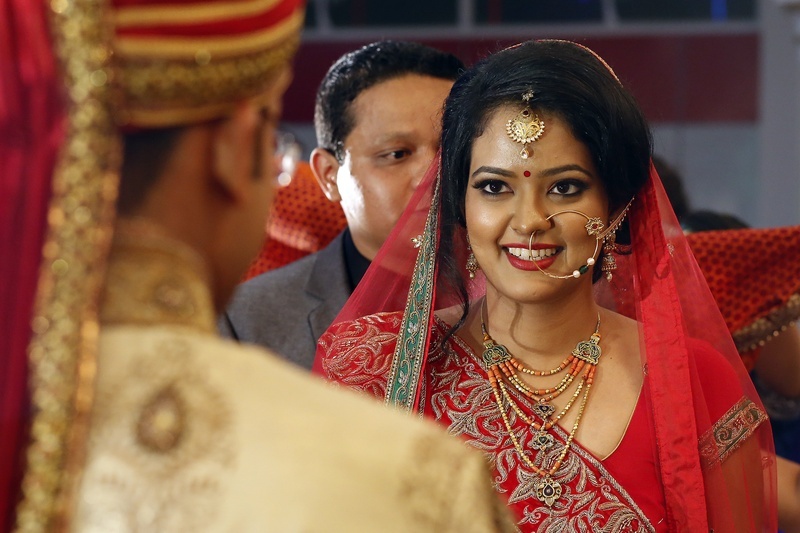 Accompanied by her entourage, the bride entered the wedding venue dressed in a beautifully styled red wedding lehenga adorning bridal jewellery that included a gold maang tikka and a large hoop nath. 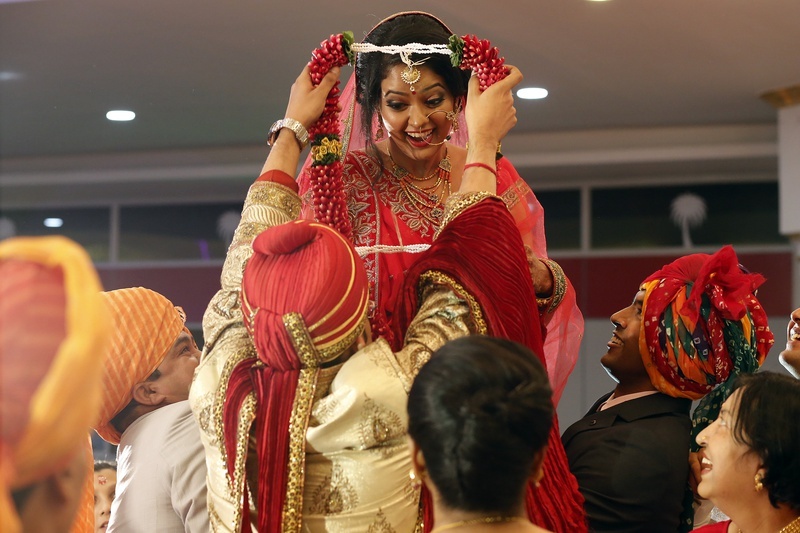 The highlight of this wedding was the Jaimala Ceremony, where, much to the groom’s surprise, the bride was lifted up high in the air, making it really difficult for him to reach her. 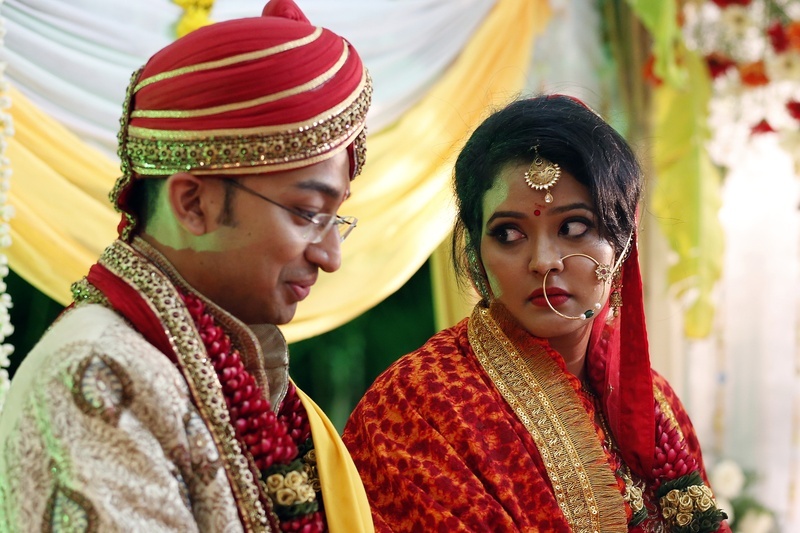 But, he did! 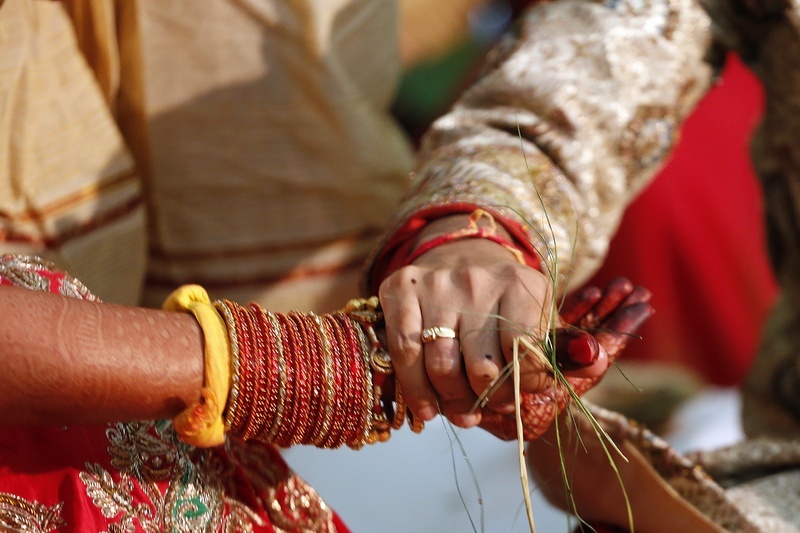 He finally got her, and they held hands and took pheras around the havan kund signifying the promise to be together forever. 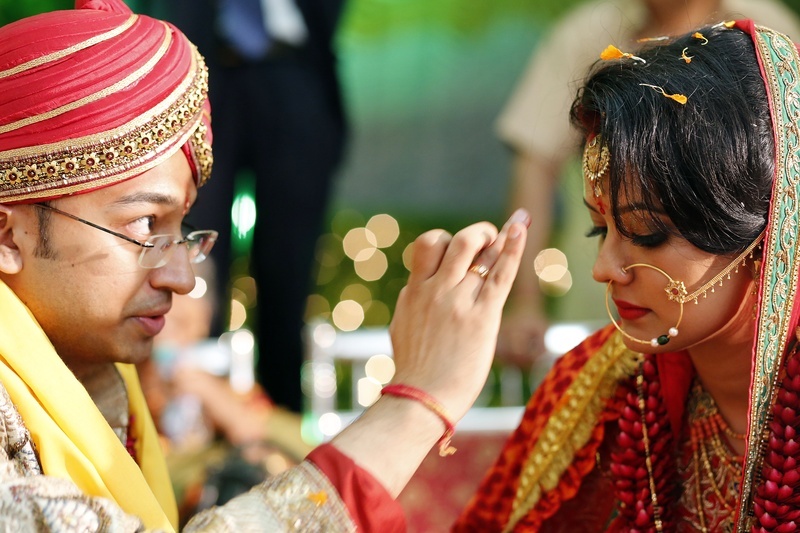 Deepak Chabria Photography captured every emotion, every beautiful moment in its best form from their wedding day. 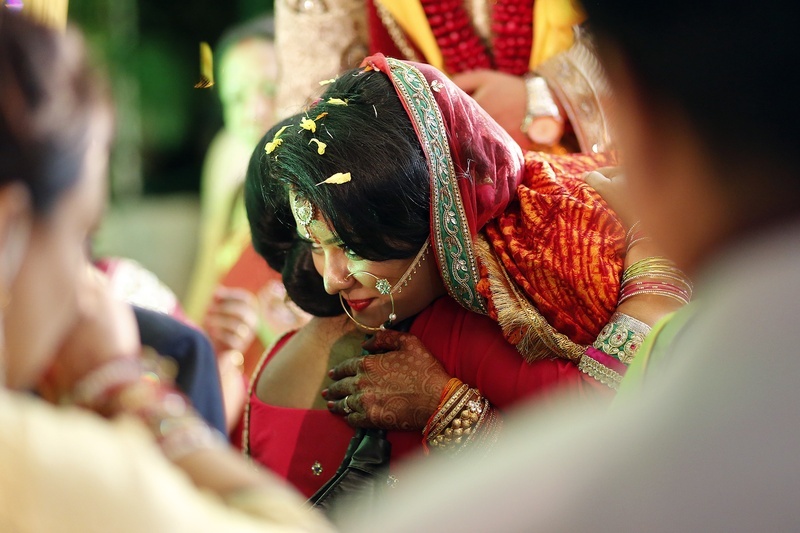 Let’s look through their wedding album right here!